Whatever your circumstances – married, single, single again, with or without children – and no matter where you’ve been or what you’ve done, you matter to God and you matter to us! Come as you are. At New Life, we invest heavily in our children and students , believing them to be some of the greatest influencers in our world today. Our Children’s Ministry offers ministry environments for your babies and toddlers on Main Street, and for your elementary age kids on UpStreet. Our Student Ministries offers an environment for your middle and high school students at Merge. Our ministry teams strive for Sunday to be the best hour of your child’s week and we look forward to partnering with you! 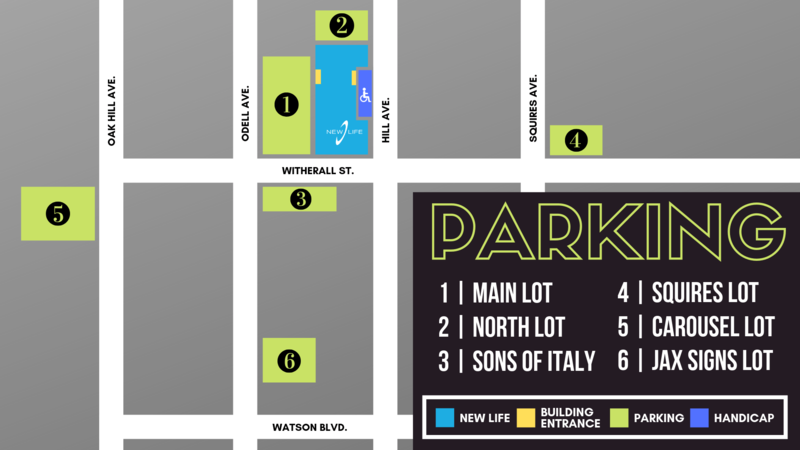 New Life Endicott has tons of options for parking with six different lots available. We’d love to help you find your public transit route! Click the button below to use Broome County’s Google Transit Trip Planner. New Life Ministries is one church in many locations. We are a great commission church (part of the FMC – USA) and our mission to “Love God, Love People, Make Disciples” is reflected in our weekly messages, worship and support ministries. New Life Oneonta is located in Oneonta, NY and is led by Pastor Joel Shue. Each New Life site offers inspiring worship, practical teaching and fantastic Children’s Ministry. Our Children’s Ministry offers ministry environments for your infants through children in 5th grade. Come and worship with us at 10:00am.